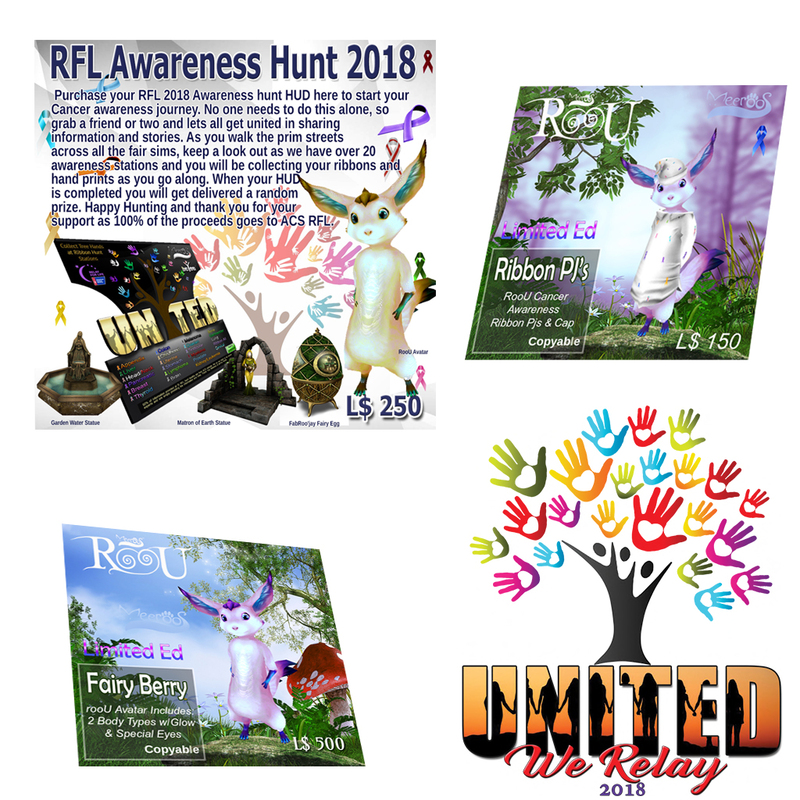 Purchase your RFL 2018 Awareness hunt HUD to start your Cancer awareness journey. No one needs to do this alone, so grab a friend or two and lets all get united in sharing information and stories. As you walk the prim streets across all the fair sims, keep a look out as we have over 20 awareness stations, and you will be collecting your ribbons and hand prints as you go along. When your HUD is completed you will get delivered one random prize. You can do the hunt as many times as you'd like to get the desired prize, you will just need to purchase a new HUD each time. ** We also have an exclusive LE RooU and RooU PJ's with 100% of proceeds going to RFL! Happy Hunting and thank you for your support as 100% of the proceeds goes to ACS RFL.